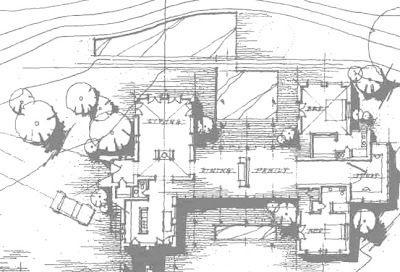 The H shape provides an ideal layout for houses, as discussed in my post about Michelle Kauffmann’s Breeze house. 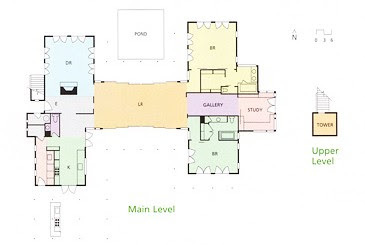 Apparatus Architects have a fine H here with dining and kitchen in one wing and then a living area connecting to the bedrooms and study in the other. I’m sure my wife would be well into the traditional crisscross glazed doors and sloped roof, something a lot of the houses I enjoy lack. On a plus side, each room opens to either the front or back courtyard and the kitchen’s back door lead out to a sheltered courtyard for breakfast and the BBQ (unfortunately gas). 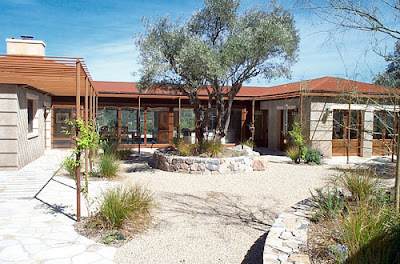 The earth construction also appeals to me, not the exposed beams of the roof, but the solidity of the foot plus thick walls and the permanent feel of the structure. 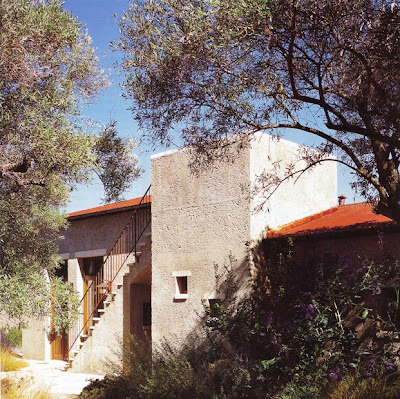 Not a classical Rammed Earth structure, this build uses PISE, stabilised earth construction, which is just with a little cement added to hold it together. 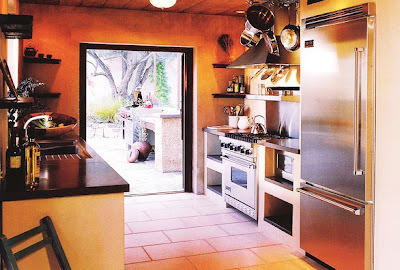 This house would definitely store heat in the floors and walls. 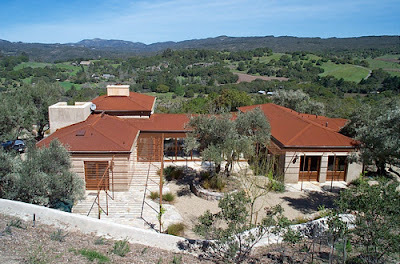 Topping off the thick walls, the rear pond and front courtyard pool would help regulate temperatures in summer. The colours also work. 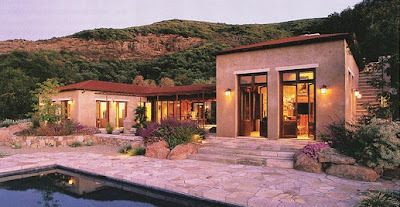 The subtle shades on the roof, the earthy brown walls that reflect the surrounding colours are complemented by the simply varnished timber doorframes and windowsills. 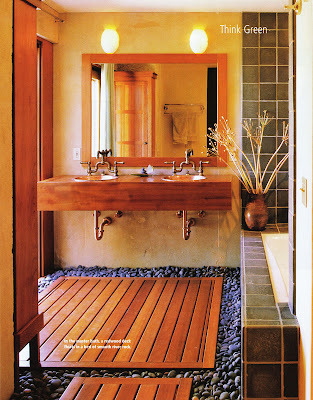 The bathroom also has a unique draining system with black pebbles surrounding wooden platforms, a classy contrast, although probably hard to maintain.